Our plans usually renew every month, however, you are free to use our service just once. 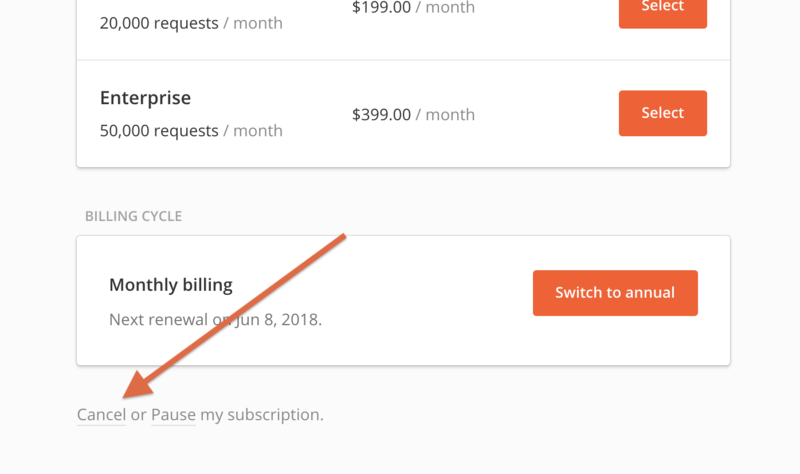 To do that, make sure to subscribe to a Monthly paid plan from the Subscription section in your Dashboard. After that, you won't be charged again and you'll also keep the requests you still have until the end of your billing period. In case you should need the same paid plan again in a few months you can also Pause the paid plan renewal by using the "Pause" link. 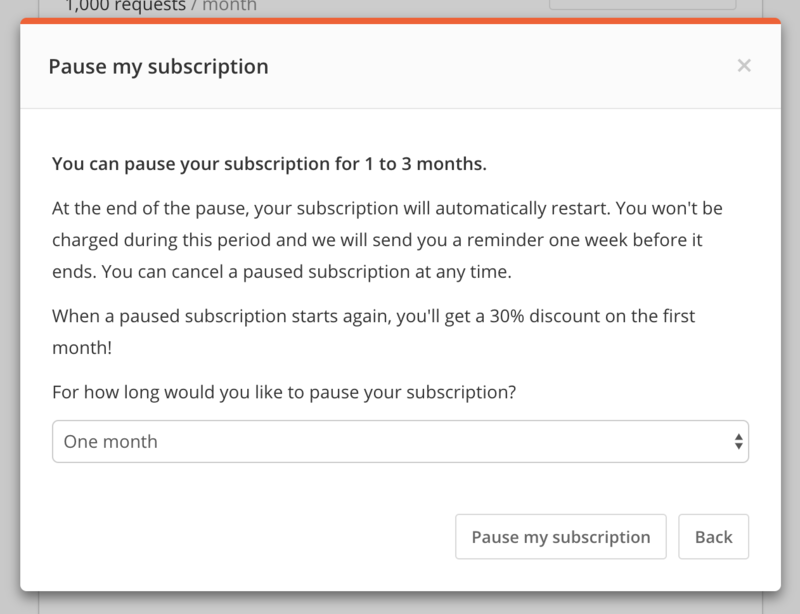 You can pause your subscription's renewal for 1, 2 or 3 months and the pause will start at the end of your current billing period. During this period, you'll have a Free plan and won't be charged. At the end of this period, your subscription will be automatically renewed, with a 30% discount on the first month.